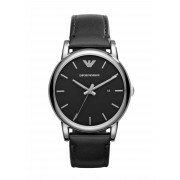 Classically stylish, this black watch from Emporio Armani would be the perfect accessory to finish off an outfit for work, evening or a special occasion. 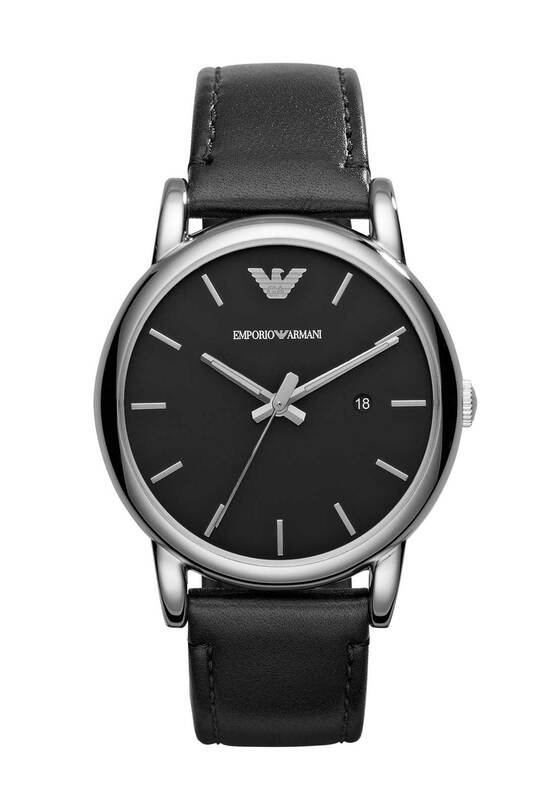 The strap is made from elegant leather while the stainless steel case has a black face. Featuring hour markers, three hands and a date window.